Our proposal to replace Penlee lifeboat station, which featured in the BBC’s Saving Lives At Sea series during the summer, received Planning Permission in September 2017. 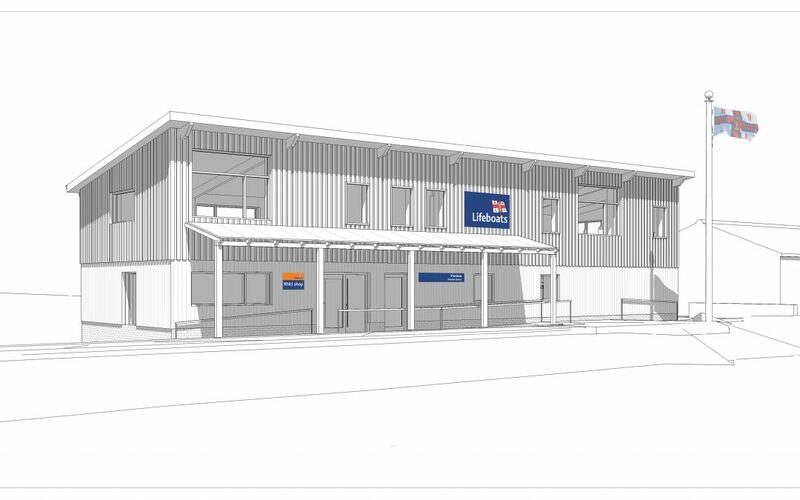 This application marks the next stage of the RNLI’s upgrade to provide modern crew facilities in Newlyn Harbour, including a larger Crew/ Operational Room, Training Room, Changing Room and Workshop. The new station will also house a Visitor Engagement area allowing the RNLI to convey the sea safety message to locals and visitors alike and be constructed to allow greater community use of facilities during construction. With features in line with current RNLI to survey Newlyn Harbour and south and east into Mounts Bay and beyond. Technical drawings for the new replacement station are well underway, using Revit software, with construction planned for 2018.